Two cups of spinach and one cucumber, celery, a little parsley, mint, three carrots, two apples, one lemon and one pineapple, Premium Matcha Green Tea, ½ teaspoon. - Put all ingredients in the blender, add water and eat it for breakfast. You can add more mint or celery if you want to kill the strong taste of spinach. Two cups of fresh blackberries, one banana, and 200 ml of almond milk, lemon juice and one spoon of oil, olive oil is the most recommended. Some people like to add apple vinegar, Japanese Matcha Tea 1 teaspoon. Ingredients: ¼ table spoon Matcha Green Tea Powder, two roots of ginger, 1/2 kilo of honey and yogurt. - Mix everything in a blender and serve it before breakfast. It will improve your immune system. A lot of doctors recommend ginger in a fight on cancer, especially for the patients who are passing through the chemo. - Always eat it in the morning, it should provide you enough energy until lunch. It is high on proteins, and it is not recommended for people who want to lose weight. - This is a vitamin bomb and detox drink at the same time; you can drink it before lunch. - It is an excellent choice for a dessert. Avoid it if you want to lose weight. During the summer days, it is excellent refreshment. If you are looking for one of the finest matcha smoothie recipes this is our sincere recommendation. - This smoothie is full of vitamin, and it is the best choice for the summer too, it can be very refreshing if you put some ice cubes. Ingredients:2 teaspoon Matcha Green Tea Powder, 300 g of watermelon mixed with yogurt is also a very refreshing drink. It is very hydrating because all that water from the watermelon. It is the best refreshment when it is hot. 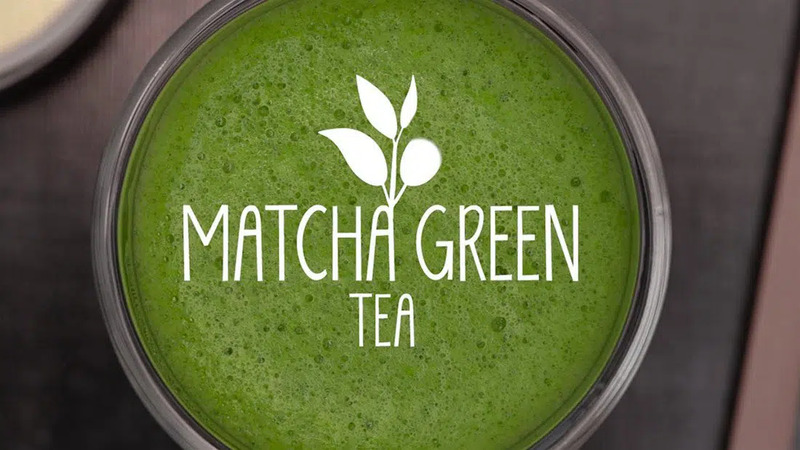 We hope you enjoyed reading our top 9 matcha smoothie recipes, keep following.